Guess which island a National Geographic survey voted as the most appealing island destination in the world? 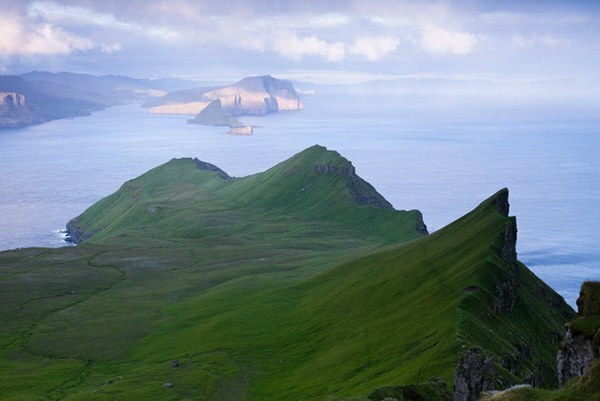 You may have been thinking about somewhere tropical but the answer is in fact the Faroe Islands which National Geographic identified as “authentic, unspoiled and likely to remain so”. 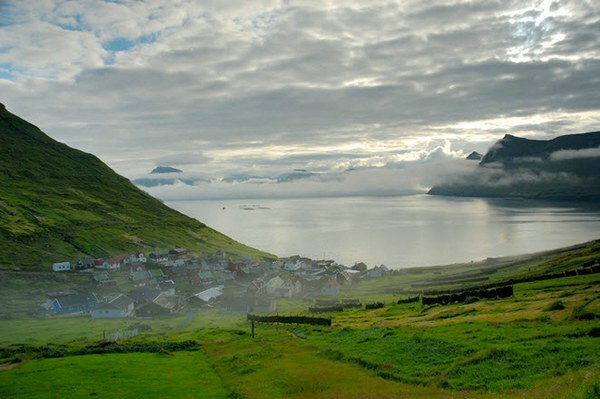 The Faroe Islands (there are eighteen in total) are nestled between the Shetland Islands and Iceland, a stone’s throw from Norway and Denmark. Although a self-governing territory under the Kingdom of Denmark, the Faroe Islands has its own parliament, flag, currency and language. 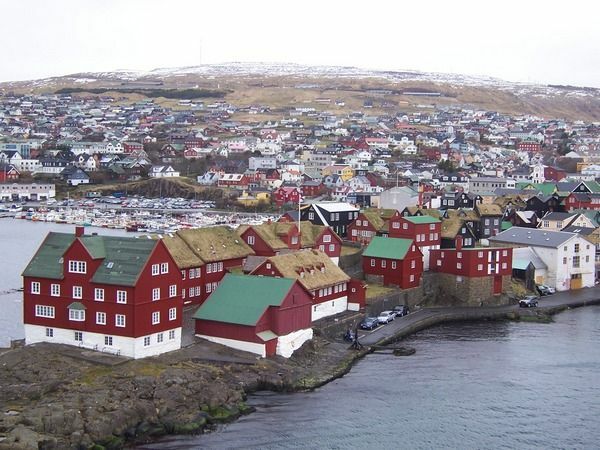 The Islands also have one of the smallest capital cities in the world, Tórshavn, which is home to approximately nineteen thousand people (below). There is plenty for families to explore on the Faroe Islands and the best way to take in the dramatic landscape is by car. The Islands have nearly one thousand three hundred kilometres of coastline and regardless of where you are, the North Atlantic Ocean is less than five kilometres away. So take your time meandering around the improbably steep slopes, admiring the unique and historic architecture (including grass covered houses) and hiking cliffs. Key stops on your roadtrip should include the Viking settlements at Kvivik, Leirvík and Tjørnavík, the rock formations at Eiði, a ferry ride and some bird-watching – it’s your chance to see puffins and storm petrels. 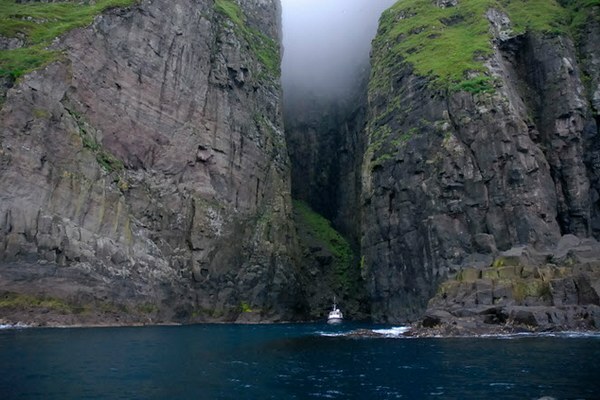 So, where to stay during your Faroe Island adventure? 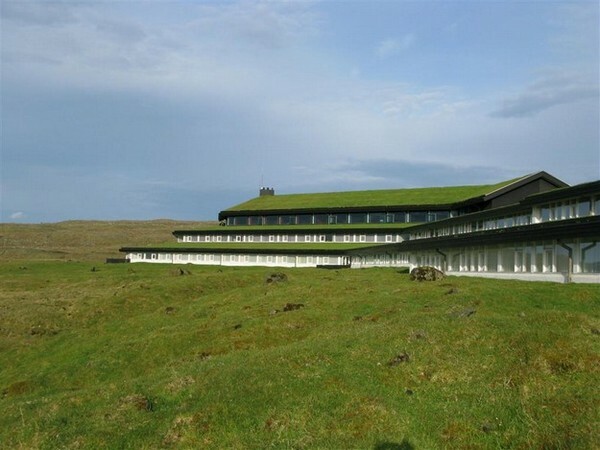 For a little spot of luxury in the middle of the North Atlantic, head to the Hotel Føroyar (above). Designed to blend into the surrounding landscape, the hotel boasts impressive views, rooms for families and the Koks restaurant that serves locally-sourced delicacies including salted fish, lamb and Faroese rhubarb. 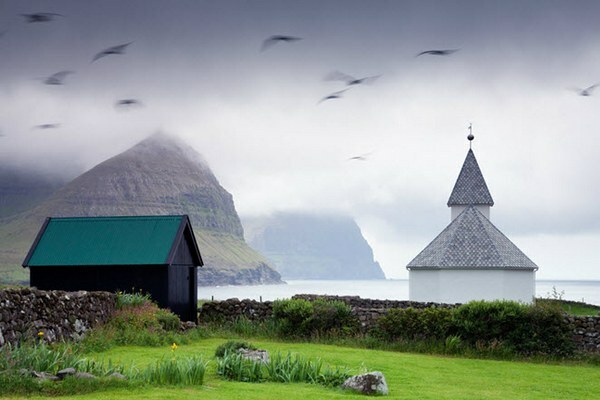 Flights and bookings to the Faroe Islands can be organised through Goldman Holidays.